PARTNER NEWS: Digital security giant Gemalto has gained MasterCard approval for a complete cloud-based mobile payment solution that includes everything from backoffice server platforms to the payment software running on cardholders’ mobile phones. The newly certified system components perform roles MasterCard defines as the account enablement system (AES), the credentials management system (CMS), the transaction management system (TMS) and the mobile payment application (MPA). The company also gained certification for its SafeNet Luna EFT hardware security module in December 2015. The solution is available as part of Gemalto’s Allynis Trusted Services Hub offering. 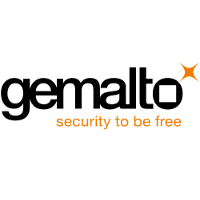 Gemalto (Euronext NL0000400653 GTO), the world leader in digital security, is the first mobile payment vendor to receive full MasterCard approval for a complete cloud-based payment (CBP) solution. This recent MasterCard certification encompasses Gemalto’s CBP server platforms as well as the payment software running on cardholders’ mobile phones. The solution is available as part of the company’s secure and proven Allynis Trusted Services Hub (TSH), a full turnkey business service for financial institutions. The MasterCard certification is granted following extensive functional evaluation and security testing. The certified Gemalto components perform the functions defined by MasterCard as account enablement system (AES), credentials management system (CMS), transaction management system (TMS) and mobile payment application (MPA). This completes the certification obtained in December 2015 for theSafeNet Luna EFT (electronic funds transfer) payment HSM (hardware security module) protecting the processing of payment transactions and digitization of credit card credentials. Gemalto’s suite of products allows banks to seamlessly issue digital versions of their payment cards to their HCE-based payment apps as well as partner wallets from device manufacturers, mobile operating system providers, and mobile network operators. Issuers and processors can opt for a fully outsourced cloud service operated from Gemalto’s data centers or an on-premise instance of the platforms.